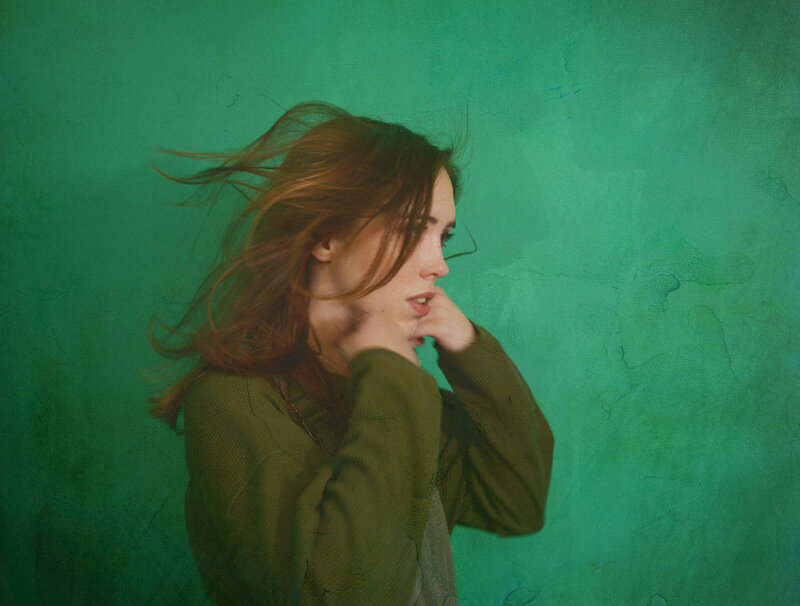 Soccer Mommy - twenty-year old Nashville native Sophie Allison - will release her highly anticipated debut LP Clean in a few weeks, and today she shares the album's third single. While the record's previous singles "Your Dog" and "Cool" exhibit a new, harder-hitting sound and full band direction for Soccer Mommy, "Still Clean" is a gorgeous return to roots. A stunner of an opening track, "Still Clean" showcases a solo Allison at her best with just her voice, an electric guitar, and, as always, heartbreakingly relatable lyrics. It's also a bridge of sorts, with synth flourishes rising in a crescendo behind her, ushering the listener into Soccer Mommy's new, high-definition world. Listen to "Still Clean" and read Soccer Mommy's Q&A inNoisey HERE. "'Still Clean' discusses the hopelessness of waiting for someone who's abandoned you," explains Allison. "It uses this idea of being 'clean' to explain the feeling of being stuck waiting for someone, hoping that they haven't moved on from you. When you are stuck in this place of waiting you kind of put your world - and you memory of them - on pause. But as the song shows, sometimes people keep moving while you're standing still, and sometimes you're the only one who's left clean." Soccer Mommy are on a tour with Phoebe Bridgers now, with more dates in the U.S., E.U. and U.K. throughout the Spring. See below to find a show near you, and get your tickets HERE. Following a series of DIY Bandcamp recordings and last year's Collection, Clean is Allison's journey out of her bedroom and into the studio with a full band and an incredible record produced by Gabe Wax (War On Drugs, Deerhunter, Beirut) and mixed by Ali Chant (Perfume Genius, PJ Harvey). "I'd never made a full album before, just EPs and random tracks thrown together. I wanted it to be a lot more cohesive than the rest of the stuff that came before," explains Allison. "I wanted to make something that was a full piece of my life, that addressed similar themes and held together as a whole." The result is Clean, an album that presents Soccer Mommy as a singular artist, wise beyond her years, with an emotional authenticity of her own. Sophie Allison got her start in the local Nashville DIY scene, going to shows and hanging out with other musicians, though she kept her own songwriting secret. All that changed the summer before Allison left for college at New York University. She bought a Tascam digital recorder and starting releasing songs for free on Bandcamp under the name Soccer Mommy in 2015. A buzz began to grow, leading to live shows, a record deal, and 2017's critically acclaimed bedroom-recorded compilation Collection. So Allison took the plunge - she quit school, moved back home to Nashville, shifting all her focus to music. She toured withMitski, Jay Som, Slowdive, The Drums, and more with no signs of slowing down. Clean - the cohesive record Allison dreamt of making - is a true step forward, a strong and mature album from an artist just coming into her power. It will be released on March 2nd via Fat Possum - pre-order itHERE.